(P1) This year’s iPhone, revealed Wednesday, is seen as a more modest upgrade, as several analysts noted that it was increasingly difficult to make impressive changes in hardware, the AP reports. Among Apple’s biggest changes are nixing the headphone jack and adding a “dual lens” camera to the higher-priced 7 Plus model. Some thought that could be enough to entice new users. “I believe Apple did enough to keep the base happy with upgrades and arguably did enough to attract some Android users,” one analyst says. 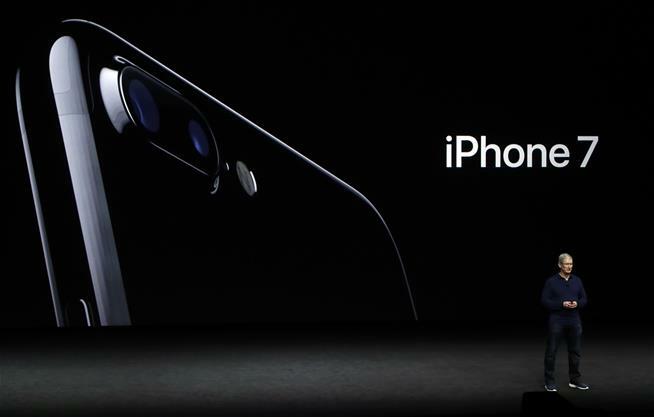 Are you going to purchase the new iPhone 7? Why or why not? Do you think a lot of people will lose their Air Pods? Why or why not? Do you think $160 for the Air Pods is cheap or expensive? Why? When was the new phone introduced? What did Apple eliminate from the iPhone 7? What name did Apple give to the new headphones? According to Bob O’ Donnell, what will happen to people if they lose their wireless earbuds?